offers data science lesson videos made simple! 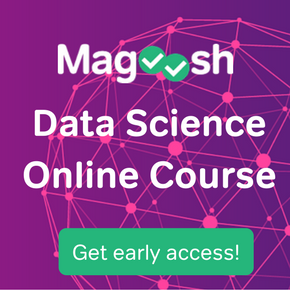 Sign up or log in to Magoosh Data Science. Artificial Intelligence is a very fast growing and popular field of Computer Science with ground-breaking research. To learn about AI in depth, following best books on Artificial Intelligence would be very helpful for you. Written by Stuart Russell and Peter Norvig, this book is most appropriated for new people to Artificial Intelligence. More than just giving an overview of AI, this book completely covers all subjects from search algorithms, working with logic, reducing problems to search problems, and planning to many more advanced topics in AI, such as reasoning with limited study, machine learning, and language processing. On Artificial Intelligence, make this the first book in your library. This book is written by Patrick Henry Winston and is a preliminary book on Artificial Intelligence. Explanations and concepts can be easily understood by the non-programmers. Many advanced AI topics are covered which haven’t been explained deeply in the book though. However, some chapters cover a great set of information. It teaches to develop intelligent systems based on real-life examples. Although, this book gives a new shape to technical intelligence with a simple description. This book is written by Philip C Jackson. Written over 40 years ago, this book provides an introduction to the science of logical processes in computers, as well as the results that were obtained in research going on for more than two decades. Subjects include psychological simulation, proving the predicate-calculus theorem, automatic programming, machine architecture, industrial automation, and novel software techniques, and they are illustrated by diagrams and clear illustrations. Whoever is interested in Artificial Intelligence and would like to have a good understanding of the field would find this book interesting. If you like to discover new topics and develop a vast knowledge of different areas, so that you will know what to learn next, this book would be very useful for you. Nils J Nilsson is the author of this book. This book explains topics like Neural networks, computer vision, genetic programming, knowledge representation and reasoning, and heuristic search with great comfort. For beginners, this book is not recommendable. However, advanced-level users must read it. This book is written by Christopher M Bishop. For students who are keen to understand the use of statistical techniques in machine learning and pattern recognition, this book is an excellent reference. Knowledge of linear algebra and multivariate calculus is a prerequisite to read this book. It provides a complete introduction to statistical pattern recognition techniques using practice exercises. This book is written by Jeff Heaton. This is one of the best artificial intelligence books for beginners. Fundamentals of Artificial Intelligence and its algorithms can be understood easily by reading this book. For anyone interested in learning AI from the core, it is a good starting point. However, this book requires a good knowledge of mathematics. This book consists of groundbreaking research works of scientific pioneer Marvin Minsky, the author of this book. This book offers models of the human mind and its workings. The author nicely aligns human common sense and thinking with artificial intelligence. This book contains path-breaking research findings, in which Marvin has challenged the status quo. This book is great for developing perspective and becoming aware of the present to future transition of Artificial Intelligence. AI in Banking: What Are the Latest Trends? What Is a Regression Model? © 2019 Magoosh Data Science Blog. All Rights Reserved.